My main go-to lens is the Tamron 24-70, it’s great and very versatile but every now and then I find myself wanting to shoot at an f-stop lower than 2.8 but I’m not in a position where prime lenses are an option. Recently I borrowed the 18-35 f1.8 art lens from Sigma to try out and did some tests before I put it to work on some projects. The build quality of the lens is very nice with its matte finish but I am aware it’s not weather sealed like my Tamron. It’s an EF-S or Super 35 ring so this wouldn’t work on a full frame but it’s f1.8 should be the equivalent of f2.8 on a crop sensor. The focus ring is nice damped as is the zoom ring and it feels like a nice turn. You’re not fighting it. 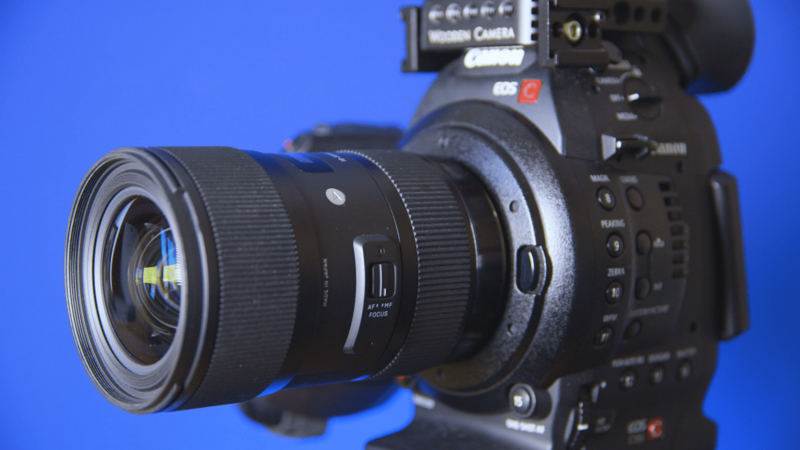 The most important aspect of this lens though is its image quality. 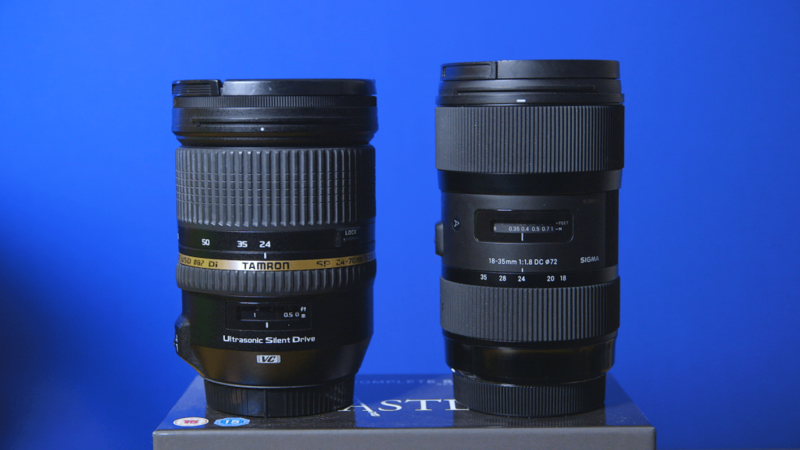 You are more limited with the range compared to the Tamron but let’s take a look at some side by sides. 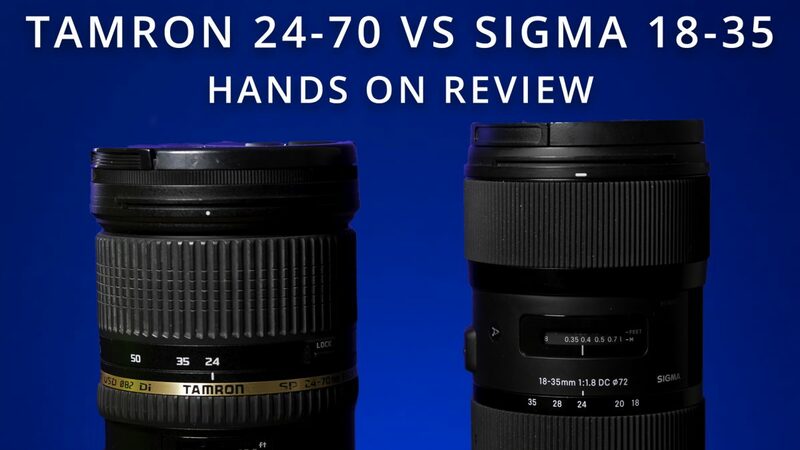 Through their zoom range and apertures, both lenses are remarkably sharp. At f4 and f8, it really is hard to tell them apart. 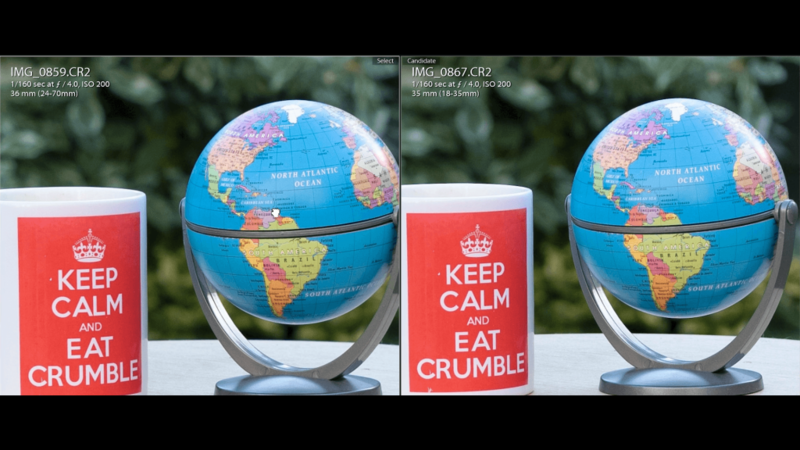 At 2.8 the sigma has a very slight edge in terms of sharpness but the sigma can go down to f1.8. This means in a low light situation, you’ve got another stop of light you can open up the iris with meaning you don’t have to crank up the ISO and introduce more noise into your shots than you need to. The main differences in these lenses is precisely in How you would use them. If I was adapting them onto mirrorless cameras with in-body stabilisation then using this lens handheld would be a great benefit but without it, I can’t really see myself using it. 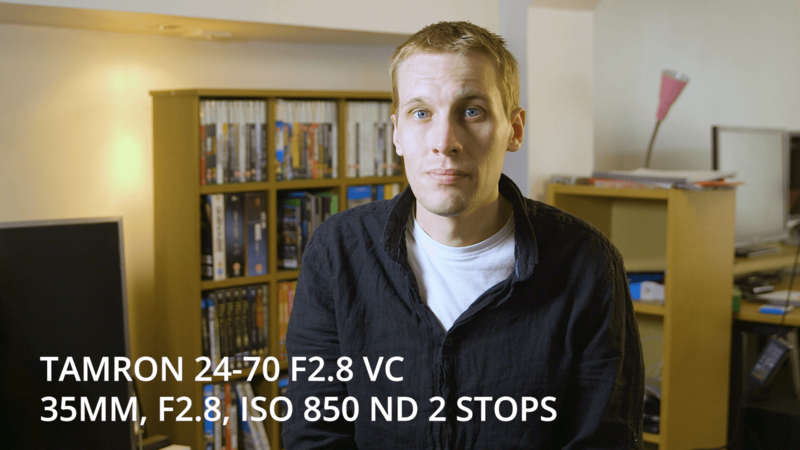 I’ve yet to find image stabilisation to rival my Tamron 24-70, it’s a pretty rock solid solution and it has apparently only got better with the 2nd generation model. I shoot a lot of interviews and I’ve found that on my Tamron about 45mm is about for them as a medium shot or medium close up. 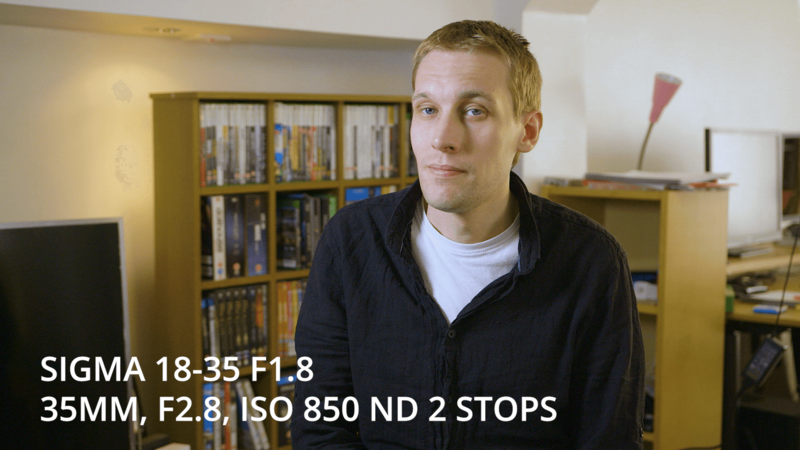 However, I thought I would see what they are like side by side at 35mm in the exact same lighting set up. I was blown away by the clarity and how the sigma handles highlights next to my Tamron. The Tamron looks very contrasty with the lights in the background completely blown out. 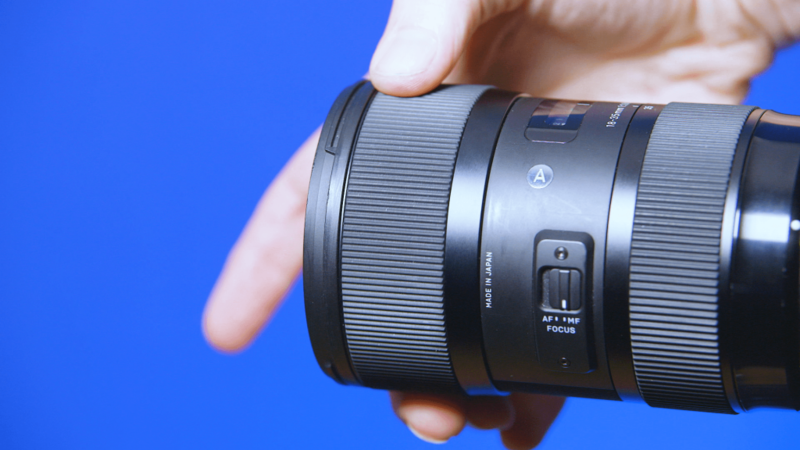 The sigma, on the other hand, handles them wonderfully with a beautiful highlight and shadow roll off. I was prepared to not like this lens because of the lack of image stabilisation. But I take it all back. If I had a mirrorless camera this would be my go-to lens every day. Especially with newer cameras like the Sony A7III and the GH5. However, because I’m not always fixed to a tripod and do need lens stabilisation at a minimum during my more run and gun shoots, I have to say, even with the stunning image quality and highlight roll off that I’m on the fence about whether to invest. I genuinely love this lens and what it produces but its practically not quite what I need sadly.